“Tragedy is a tool for the living to gain wisdom, not a guide by which to live.” These words from Robert Kennedy continue to ring true and give hope in the disaster that has befallen Southern Africa in the wake of Cyclone Idai. On 14 March 2019, Cyclone Idai, with wind speeds of over 170 km/hr and rainfall of up to 406mm in a day (Chisengu Estate Chimanimani), made landfall at Beira, moving on into Eastern Zimbabwe and Malawi. For scale, it is useful to note that in other areas of the Limpopo basin, annual average rainfall is 400mm. It is estimated that more that 500 people have lost their lives (as at 22 March) across the three countries, while 1,7 million have been affected. The number of the dead is expected to rise as water recedes and bodies are retrieved. The cyclone has left a trail of destruction in its wake. Much of the damage has been in Mozambique, where 90% of the city of Beira has been destroyed. Much of the affected area in Mozambique still lies covered in water. Entire villages have been wiped and infrastructure such as roads, schools and have been severely damaged. Whole villages are submerged with “oceans” of over 50km being observed by aid workers. Thousands are still marooned in trees and on rooftops and have been there for days with no food and shelter. Hospitals are without electricity. Communication has been cut as there is no power and vast areas remain in accessible due to destroyed roads and bridges. coordinating rescue efforts as well as accurately determining the extent of the damage remains difficult due to loss of power and inaccessibility of the affected places. It is unfortunate to say that this is not the first time cyclones have battered Mozambique and Eastern Zimbabwe. 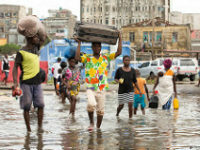 Nine cyclones have made landfall in Mozambique in recent history, with the worst being Cyclone Eline of 2000 that claimed over 350 lives and displaced 650 000. Multiple partners have come in to assist with the aftermath of Cyclone Idai, including the African Union, European Union, the United Kingdom, South Africa, Tanzania, the United Arab Emirates and major international agencies like the World Food Program and the United Nations. Zimbabwe’s treasury promised to make available $50 million for relief. Multiple campaigns by individuals, corporates, churches and other organizations have been launched to provide the cyclone victims with clothing, shelter, food, among other basic necessities. While aid cannot at the moment reach most areas, the Zimbabwean government has slowly begun air lifting the most necessary supplies. In Mozambique, helicopters from South Africa as well as Japanese naval ships are assisting with ongoing rescue efforts being coordinated from the Beira airport. Assessments in all three countries are ongoing, but these are being hindered by the lack of access because some areas are still heavily flooded and cannot be reached. This accessibility challenge and the threat of water-borne diseases such as cholera, which thrives in such conditions, are some of the immediate key challenges at hand. The Catholic Church has also been running campaigns to facilitate the donation and delivery of necessities to the victims. The Jesuit Province of Zimbabwe-Mozambique, through the Jesuit Relief Fund, has set up donation drop off points in Harare and Johannesburg (where the JRF has partnered with Jesuit Refugee Service and the Jesuit parishes) to facilitate the collection of needed suppliers. These will then be distributed to the affected communities through established local Church structures such as the Catholic Commission for Justice and Peace and Caritas. The response from people has been positively overwhelming. 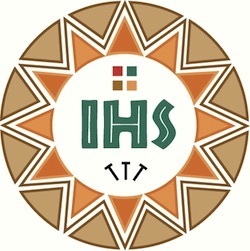 Catholics and alumni of Zimbabwean Jesuit schools based as far as the United States and the United Kingdom have also made cash donations. The Church and the Society are assessing what sort of long-term assistance may be needed, especially with the reconstruction. The United Nations estimates that about 1.7 million people are in need of humanitarian assistance. While immediate humanitarian assistance has been forthcoming, there will still need to be a lot of work done to reconstruct the societies towards a semblance of normalcy. Entire villages will need reconstruction. This goes also for hospitals, schools and the whole social services network. In the case of Zimbabwe, this work needs to be carried out in the context of an acutely constraining economic environment, and for both Zimbabwe and Mozambique, in the context of high poverty prevalence. So aside from infrastructure and services, the serious issue of livelihoods and food security will need to be tackled. This cyclone hit before the harvest season, meaning that the entire crop of the 2018/2019 season was destroyed in the fields in affected areas. Coupled with the drought that many parts of Zimbabwe are experiencing, it means the livelihoods of millions of people, both rural and urban Zimbabwe and Mozambique, are in peril. The clarion call after this disaster is thus for all of us to not be guided by the tragedy but to gain wisdom for the future. This begins with an investment in the disaster readiness systems of our countries in order to avert such disasters. Ultimately, however, it is inclusive, sustained and ecologically-conscious economic growth and development that will lift millions of our people out of poverty and free them from living precarious lives. Good leadership is indispensable for this. Unfortunately, we are still a few light years away from such.